What do you mean by Vaping Devices? We have often come across the term of Vaping and often wonder what it means. Well, Vaping means or in other words it is the act of inhaling and exhaling the aerosol, which is also often referred to as vapor produced by an e-cigarette or any of the similar devices. Vape devices are not just e-cigarettes, but also vape pens and advanced personal vaporizers. Apple and Tesla have created their own trademark in the field of mobile communications and electric car respectively. So, has many industries come up with some extraordinary pieces of technology for the vaporizers which are available in the economy. Though these vaporizers can be quite a piece of investment, this piece of cake is for everyone. But, yes, it truly is a significant investment for all the customers who have put it. The vaping industry is essentially one of the world’s fastest growing sectors. Over the recent past, there has been significant growth in the number of people vaping from all corners of the planet. Manufacturers of vape products have therefore been faced with the task meeting the rising demands of such products by the ever-growing market. The vaping scene has been marked with outstanding innovation and creativity, leading to the development of cutting edge vape devices. These innovative devices have been designed to meet and exceed the expectations of vapors, treating them to a one of a kind vaping experience. While some of these pieces of technology may be expensive, they are often worth the investment. The Halo Reactor Mega is a sophisticated box mod that is specially designed for both aesthetics and ease of use. This versatile masterpiece is ideal for various kinds of vapors. Whether you are a beginner looking for something that’s easy to use or a seasoned vapor searching for high wattage and better puffing, this is ultimate box mod. With an exceptional 80-watt vaping output, the Halo Reactor Mega produces huge clouds with amazing flavor supported by its 0.15-Ohm coil head. Its coils are designed for unparalleled functionality and durability; they will last a number of weeks for a regular vapor. The vape device user can easily tailor the airflow to meet their preferences ranging from a tight draw to an airy airflow. Refilling is rather easy, as you do not even have to remove the cap. The included drip tip easily lifts for easy filling. Other interesting features of the box mode are the 5,000-mAh battery. Adjustable wattage and a menu that allows for various settings such as temperature and bypass functionality. It is slim and portable and boasts of digital OLED display. With exceptionally long battery life, this vape pane offers a phenomenal vaping experience. It provides a perfectly tepid vape that allows the vape user to enjoy the different delicious flavors in nice cloud volumes. The vape pen comes complete with two durable batteries, both 380 mAh. The rechargeable batteries are available in two forms: automatic with default settings or manual with customizable settings. Its 1.3 ml tanks are refillable and can support an all-day vape. The tanks are very durable and can be filled more than 20 times before a replacement is necessary. They are also easy to refill. The Brain Fogger is the ultimate vape tank for a vape device user in need of precision and control. The stacked coil system hands them complete control allowing them to customize it according to their preferences. The concentrate is melted by the upper coil while the lower coils vaporize them. The solid design of the tank and its Pyrex constitution makes it an on-the-go vaping masterpiece. It is easy to use and easy to clean tank that offers powerful hits and produces thick clouds. It has replaceable coils and supports temperature control and wattage control systems. 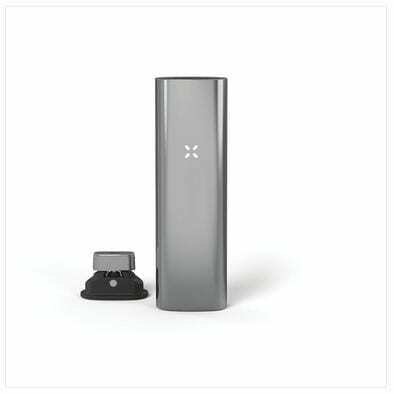 One such device is the Pax, which then got upgraded to Pax 2 and then to Pax 3. The premium quality of this device is as a result of cumulative features which is compatible with both dry herbs and waxy concentrates. The device is sure to remain on top for quite some time. Another such device is the Aurora whose vape component part is magnetic and snap which is the best, simple and fast to set up. Summit+ is yet another kind of device which is a small, dark plastic device and has got three buttons and a mouthpiece and feels like a Breathalyzer. Yet another device you would find is the Firefly 2 which is also a Vape device is simple. The device when you hold, has got two buttons on each side. The best thing is you can change the two buttons to one single button using the app. The device has also got one magnetic lid, which makes it look awesome. You may also be interested on Best Vaping Accessories. Next articleWhat are the Different Types of Web Hosting?